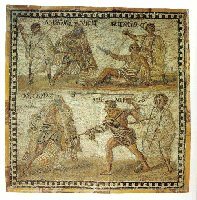 criminals condemned to death or prisoners of war, who in the Roman world had no right whatsoever, and whose life was considered expendable. The war prisoners who were considered fit were reserved for the ludi, and if we think that the majority of the prisoners was enslaved or quickly sent to death, such fate was not the worst. 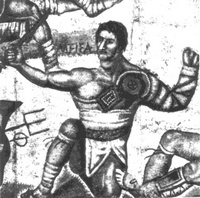 The supply of gladiators didn't meet the demand, so the custom was adopted to send fugitive slaves to the schools. Since the slave was absolute property of his master, there were many instances in which he could be condemned ad ludum (to the fight). 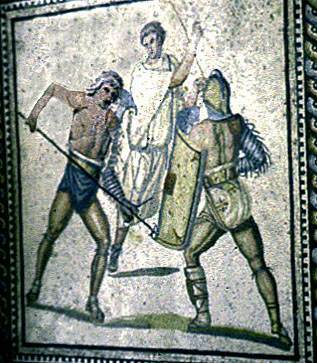 In this case the condemned man received a training in the ludus like all the other gladiators. He fought on an equal basis, and in any case after three years - if he survived - he did not have to fight anymore. This situation was different from that of those condemned to die in the arena without any hope of surviving, like the ones condemned ad bestias or those ad gladium ludi damnati, who were thrown in, sword in hand, to kill another captive completely unarmed, only to be disarmed after the killing and meet another condemned, and so on until only the last criminal remained. In some cases, particularly cruel emperors could send people to die on a whim: we know that Claudius ordered an officer to go down in the arena, dressed as he was (in a toga), and that Caligula threw all the inmates of a prison as food to the beasts, just because there was a shortage of meat. There was also a minority of free men, called auctorati, who  starting from the first century AD  took fighting in the arena as a profession. For the average Roman, though, the spontaneous submission of a free man to the lanista was considered to be one of the most despicable actions a citizen could do. He renounced his state of freedom and became  for the period of the enrolment  a slave, and was accordingly ranked in the legal category of the infames, or pariahs. In republican times such a self-depreciation was inconceivable, but later the attitude changed, when even emperors like Nero walked the stages to obtain stardom. Emperor Gaius Julius Caesar Augustus Germanicus, a.k.a. known as Caligula, acted both as a charioteer and gladiator, and Commodus showed himself many times in the arena. 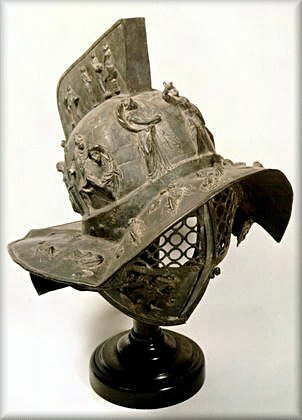 Regardless of the social scorn, free men took the gladiatorial career because of a taste for danger or love of the arms, or just because they were financially ruined and needed the enrolment bonus. This bonus could sometimes solve financial problems, but in general the reason for a spontaneous enrolment was the hope of recovering ones fortunes by means of a lucky career. The law ruled that free men could enrol only after a formal declaration in front of the tribunus plebis, but this rule  whose purpose was to guarantee free men against their own impulsive decisions, became later on a simple formality. Gladiators started their career by submitting (or by being sold) to the lanista. 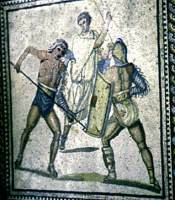 The lanista, who in the Roman world was officially considered one the vilest professions (even lower than pimps, actors and butchers), had the right of life and death over them, since gladiators had to take an oath of complete submission in order to be accepted into the school. 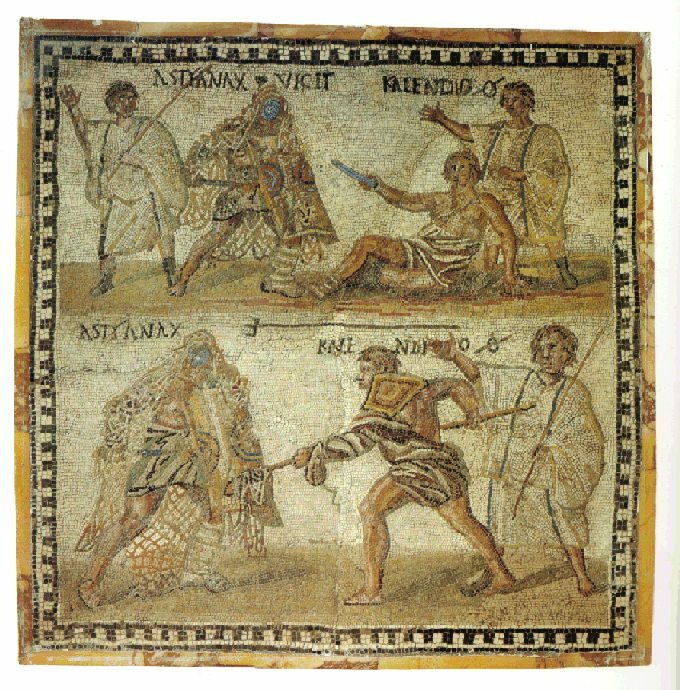 The gladiator swore to "endure the whip, the branding iron and death by the sword"; these terrible punishments were meant to curb any hint of rebellion and to "brainwash" the fighters so that they would be convinced that overcoming any test was their only salvation. The training lasted for years, since the public had become very demanding, and only then was the gladiator ready to enter the arena.